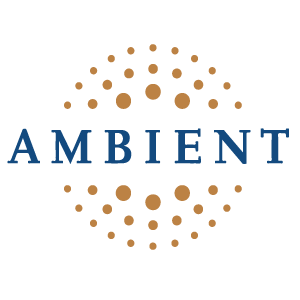 Ambient currently has a number of open positions. To view these positions, click on a job title to learn more. If you’re interested in challenging and innovative environments, professional development and a competitive compensation package, we’d like to hear from you. Experienced in requirements development for application development and package selection projects including Use Case development experience. Additional desired skills include working knowledge of RUP, experience with logical data modeling, RFP writing, user acceptance test case development, and ability to conduct user acceptance testing. Send us an email to learn more. Operating Systems Experience with Windows .Net, and databases MS SQL Server, MS Access, and Oracle. AND / OR demonstrated ability in ASP (non.Net) development using Visual Studio 6, as well as knowledge of Visual Basic or C++. Capacity to utilize Object Oriented Design and Development (OOD), Use Cases, UML, and RUP. Ability to manage software development and package selection projects for CRM Effectiveness, ERP, Financial/Accounting, or Data Warehousing projects. PMP certification, Six Sigma certification, and 5+ years experience managing projects of ranging sizes. Working knowledge of Struts, EJBs, JSPs, JDBC, XML/XSL, and HTML. Must demonstrate J2EE industry standards and protocols, object modeling and Use Case abilities, as well as being experience in Java, SQL, C/C++, Shell Scripts, Unix, Linux, Windows, MS SQL Server, and Oracle. Shows ability using TestDirector, WinRunner, LoadRunner, RUP, and defect tracking tools. Language experience in Shell Scripts, PERL, and SQL. Knowledge of operating systems Windows, Unix, and Linux and databases such as MS SQL Server, MS Access, and Oracle. Familiar with and able to implement leading database, modeling, ETL, and delivery tools within the business intelligence market. Skilled in data analysis, best practices, data mitigation, enterprise data workshop, and data size estimations. We pride ourselves on offering very competitive benefits. These are just a few ways we take care of our employees.